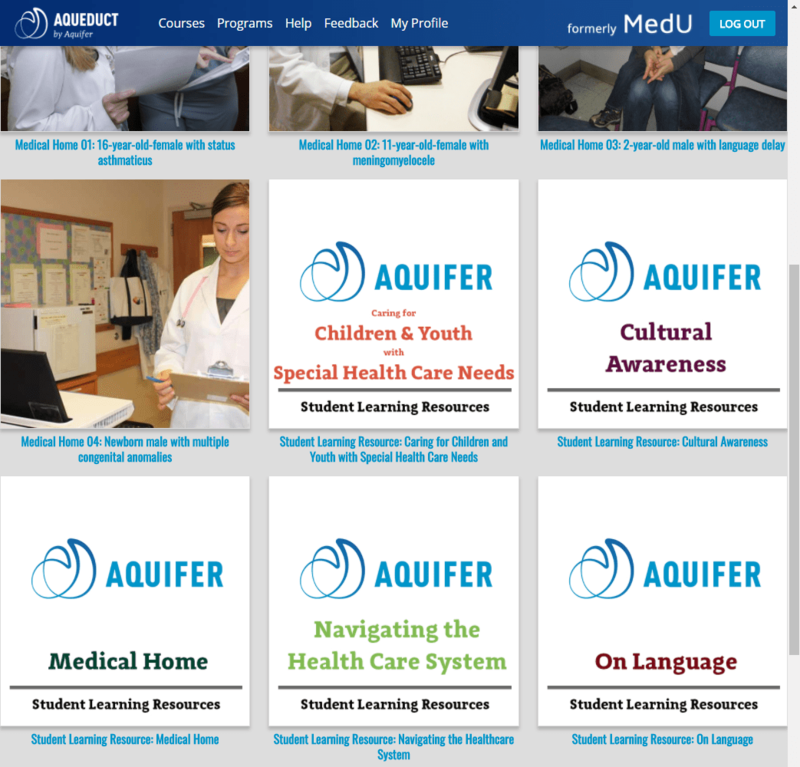 Aquifer’s Student Learning Resources—available to all users—are easily accessible in Aqueduct. There are two types of Student Learning Resources: general and course-specific. 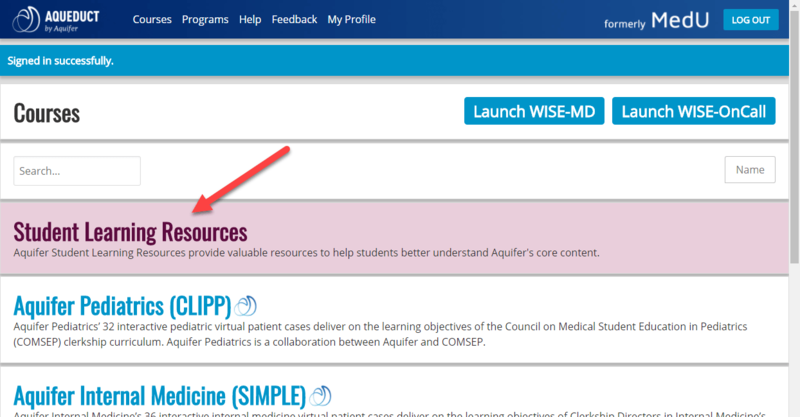 To access the general resources, sign in to Aqueduct and navigate to the Courses page. If you don’t land on the Courses page, click on Courses in the top navigation bar. Click on the pink Student Learning Resources to access the available resources. The general resources section includes Clinical Practice Guidelines and Pediatric Developmental Milestones. The Clinical Practice Guidelines include Hypertension and Cholesterol Guidelines, available in collapsible sections. Each guideline is available for download as a pdf at the bottom of the resource. 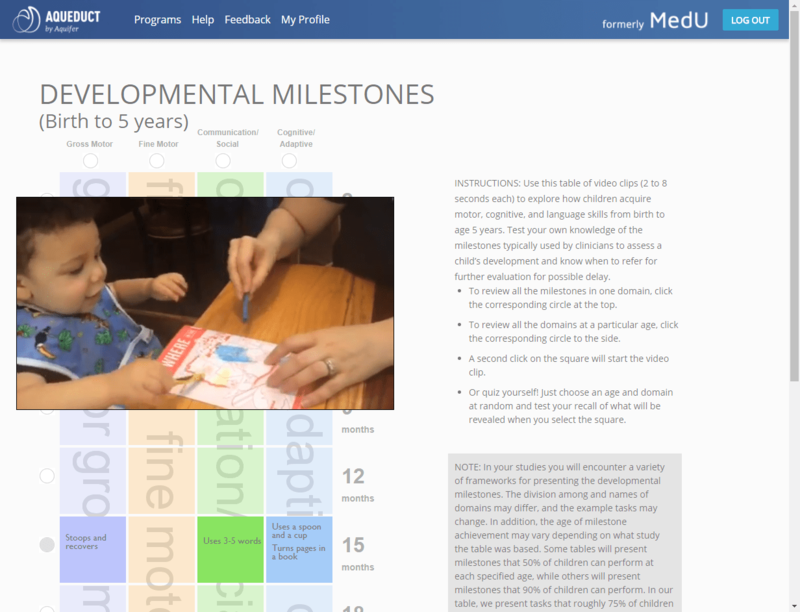 The Pediatric Developmental Milestones tool is an interactive table with videos for each milestone. This section also includes a video guide to the interactive table and a downloadable pdf. 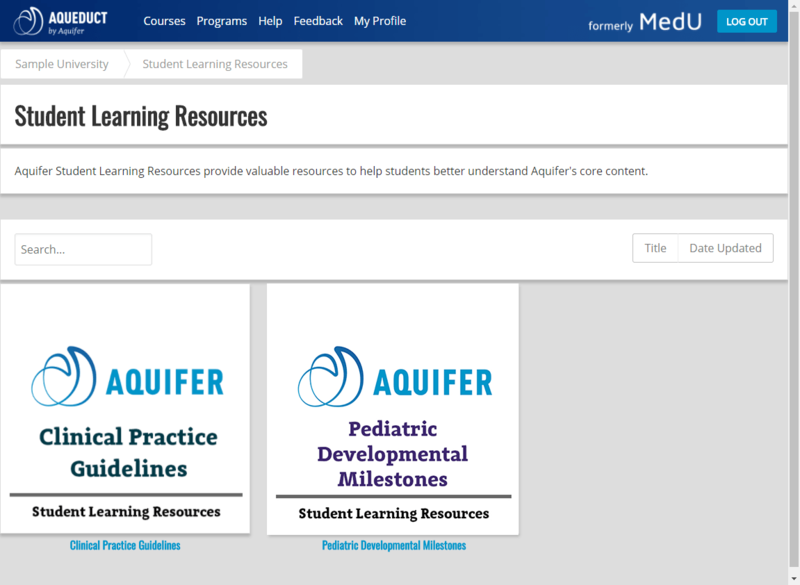 Additional course-specific Student Learning Resources are now available from within their courses: Aquifer Culture in Health Care and Aquifer Medical Home. The resources appear on the Cases page and are grouped by topic. Topics include Cultural Awareness, Medical Home, Navigating the Healthcare System, On Language, The Physician’s Role, and Caring for Children & Youth with Special Health Care Needs.